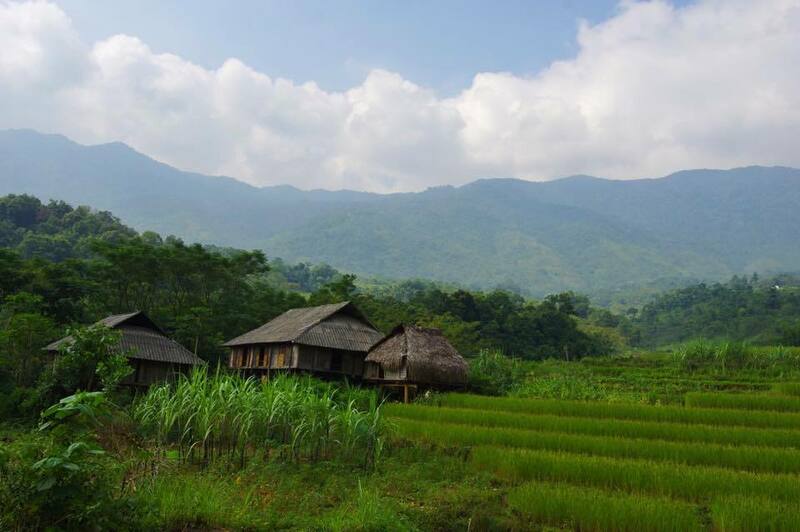 If resort towns are not your thing, check out these quiet and rustic Vietnam destinations along the central coast. 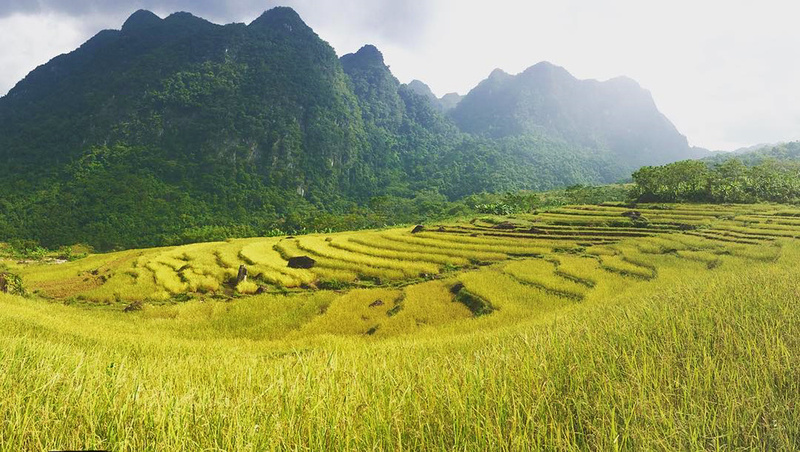 Don’t let the travel boom that has resulted in seemingly never-ending construction, overcrowding, trash and tourist traps in many of Vietnam’s top destinations deter you from coming. 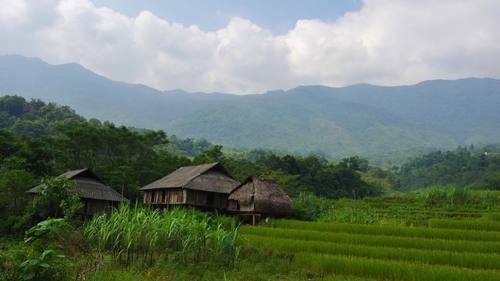 By venturing off the beaten path, those who want to experience a quiet Vietnam untouched by mass tourism will surely be rewarded for their efforts. So if you are not constrained by a tight schedule, make sure to explore these five spots along the central coast. 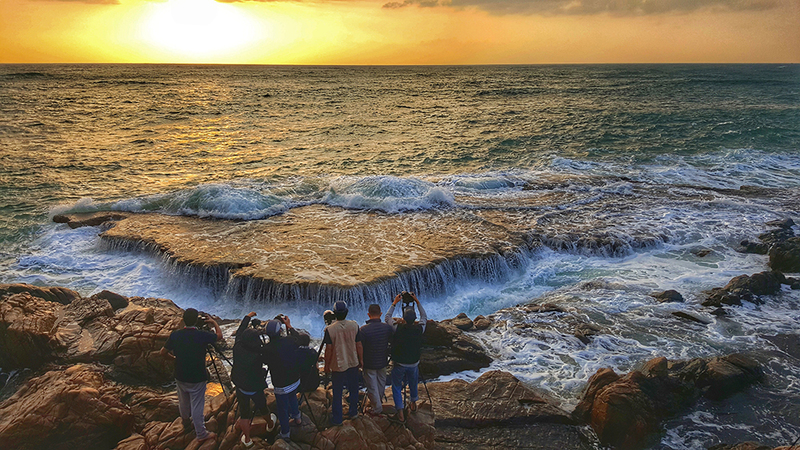 Hang Rai, a perfect complex of rock formations and fossilized coral reefs lying by the sea, is touted as a one-of-the-kind wonder. 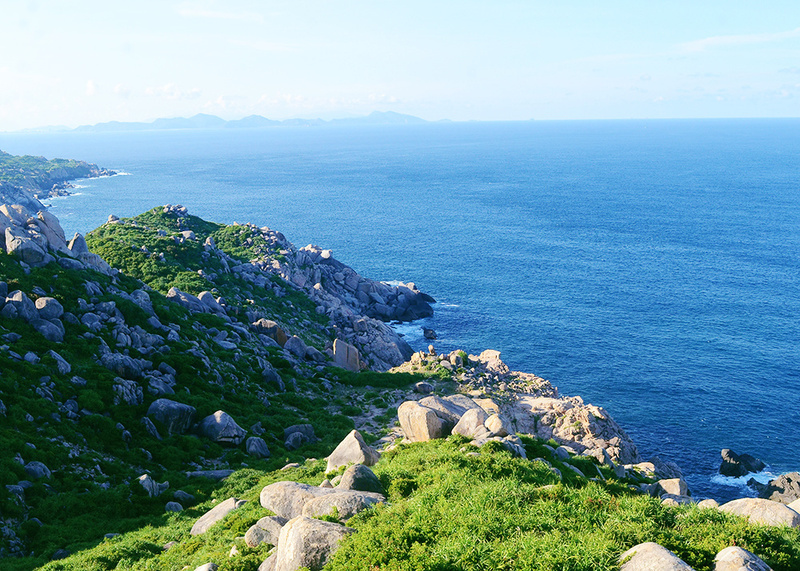 Hang Rai is part of Vinh Hy Bay, one of the most beautiful bays in Vietnam and only about 40 kilometers (25 miles) from the coastal city Phan Rang in Ninh Thuan Province and accessible by car and motorbike. 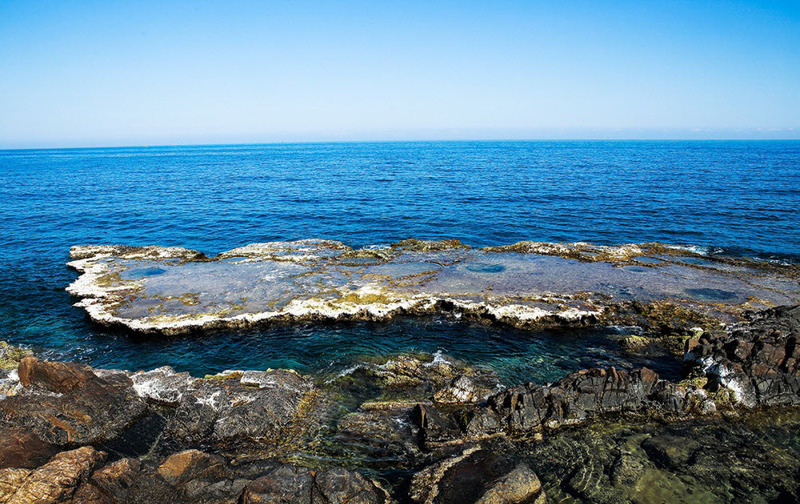 Once there, don’t miss a chance to take a dip into the natural pools created by the unique rock formations, dive to watch coral reefs or get ready to create a photo album with stunning scenes at dawn. 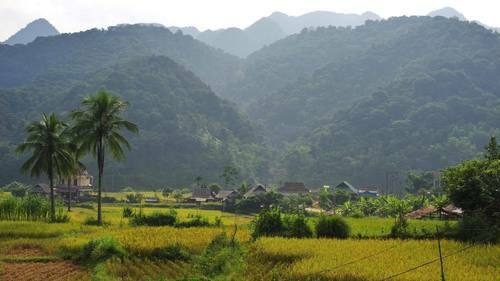 Though the central province of Thanh Hoa is still a lesser-known destination on the local tourism map, Pu Luong Nature Reserve, just 130 kilometers northwest of its namesake city, has stolen travelers’ hearts with its pristine nature and tranquil ambiance away from the hustle and bustle of urban life. 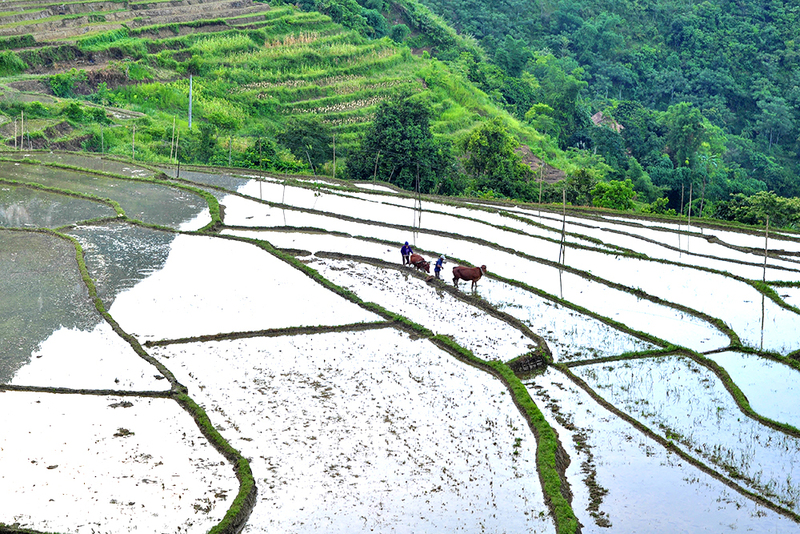 Surrounded by spectacular limestone mountains, Pu Luong is best enjoyed in October when golden-yellow terraced rice fields glisten in the light cold of autumn. 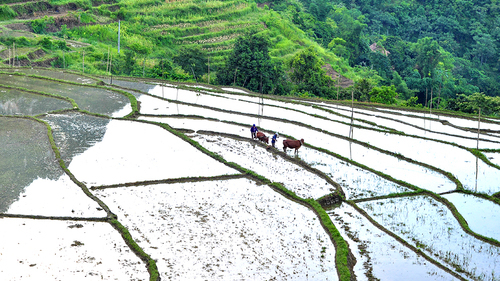 No hotels or resorts can be found there, but homestay services allow you to experience the culture and daily life of ethnic people who mostly make a living from farming. 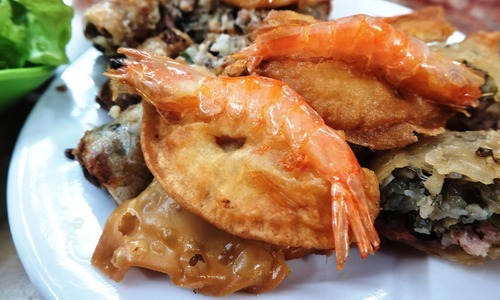 Last but not least, try the local delicacies cooked fresh using homegrown ingredients. 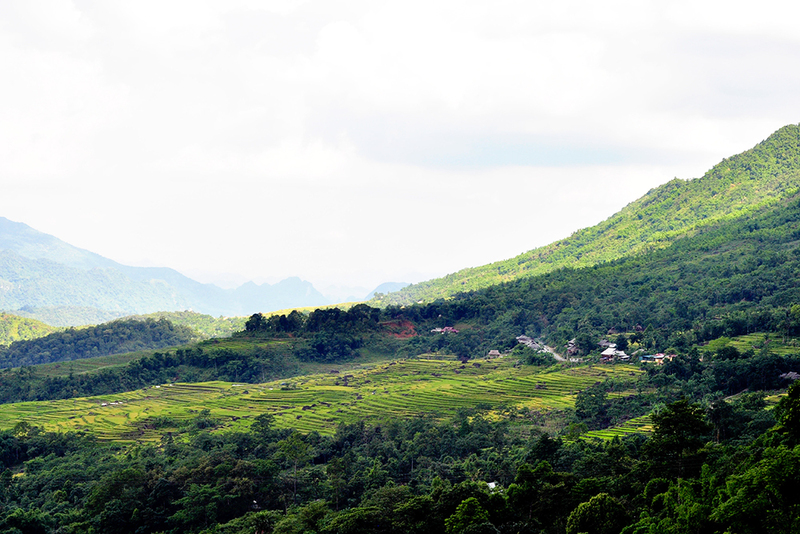 The cost for a night ranges from VND50,000 ($2.19) to VND70,000 ($3.07). 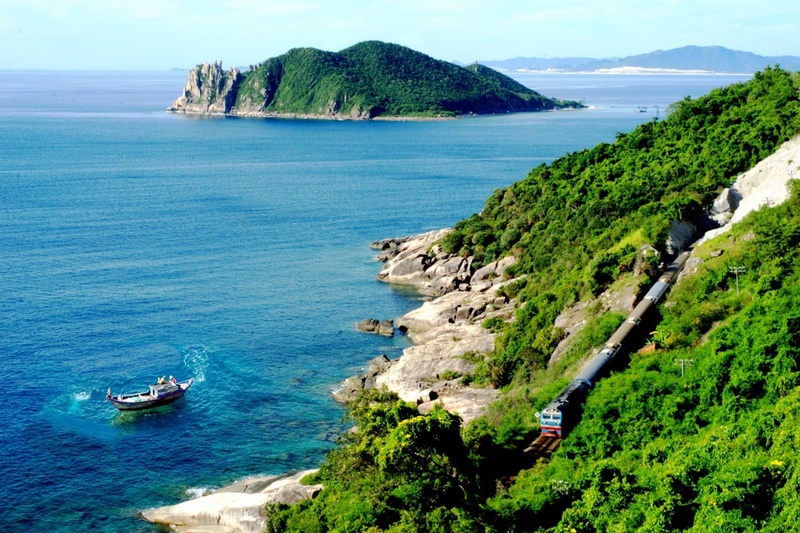 This island off Vietnam’s central coast sits 24 kilometers (15 miles) from Quy Nhon Town in Binh Dinh Province and is home to around 3,000 residents who chiefly eke out a living by fishing. The secret island has yet to be engulfed by the tourist traps and claws of urbanization, leaving it a pure beauty like what nature has conferred. Don’t expect fancy services as tourism is still a new concept on this island. Between February and June is the best time to enjoy a trip to Green Island but avoid the time around the end of July and early August when unexpected storms can ruin your travel experience. 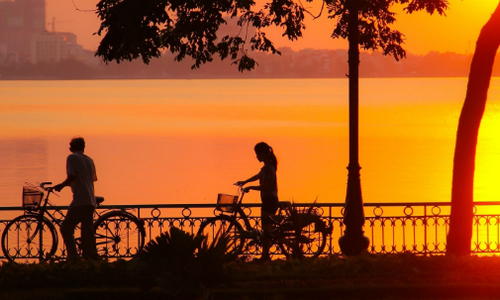 Once a historical site during war time, Vung Ro Bay has come a long way to resuscitate into a beautiful travel destination in central Vietnam. 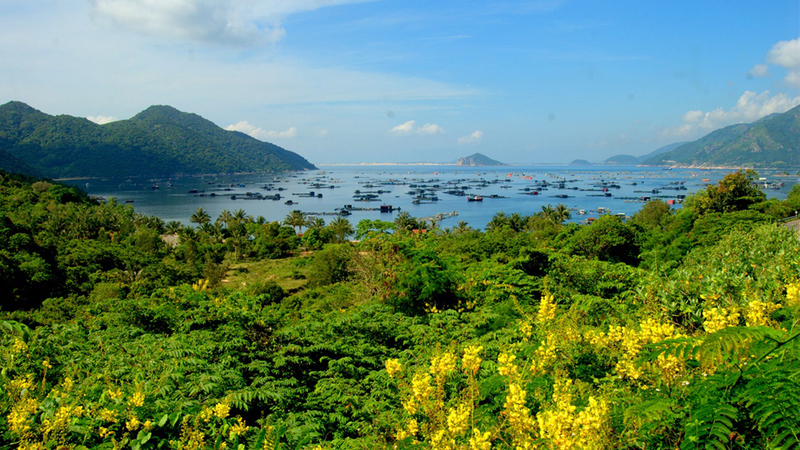 Just 33 kilometers south of Tuy Hoa, the capital of Phu Yen Province, Vung Ro has been a trendy destination among Vietnamese after it was featured in an award-winning Vietnamese movie “Yellow Flowers on the Green Grass” directed by Victor Vu. 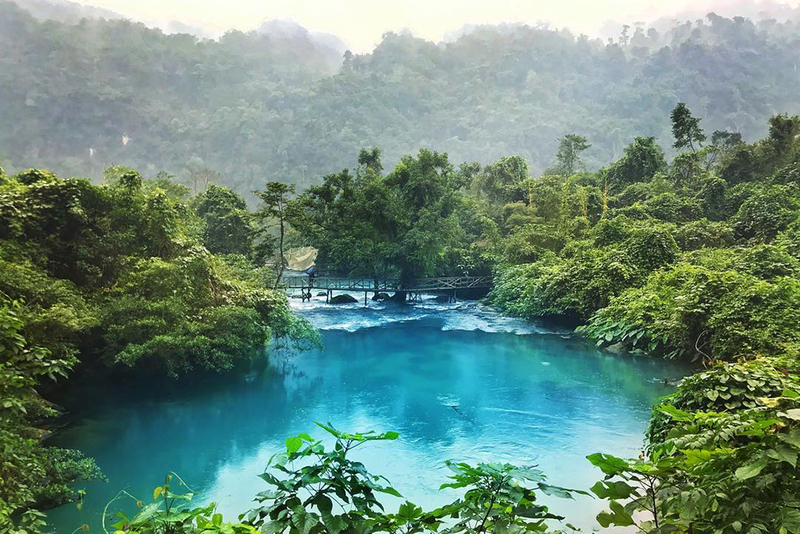 Vung Ro, which was named among the seven most beautiful bays in Southeast Asia by the United Nations World Tourism Organization, promises to enchant you with deserted beaches that boast crystal blue waters and stretches of white sands. 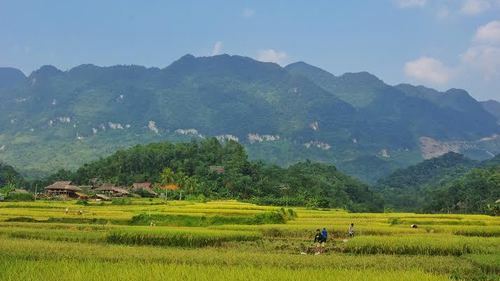 Moc Stream, which is only 20 minutes from the world-famous Phong Nha-Ke Bang National Park by car, leaves a strong impression on tourists for its breathtaking natural landscape, rich biodiversity along with fun sporting activities. 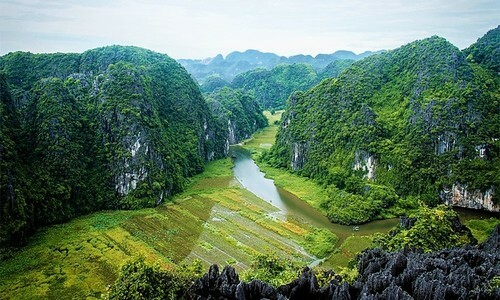 Being just one of countless of natural wonders that can be found in Quang Binh Province, Moc Stream has yet to be featured on tourist maps, unlike the famous Nhat Le Beach or Son Doong, the world’s largest and arguably most magnificent cave. 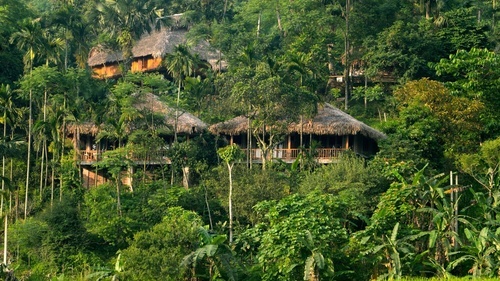 Enjoy the nature at Moc Stream in your own way: swimming, rope-swinging, kayaking, rowing or night camping. 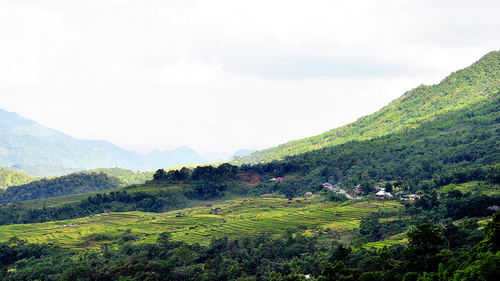 Vietnam Airlines and Vietjet Air run direct flights to Dong Hoi Airport in Quang Binh from Hanoi and Ho Chi Minh City. 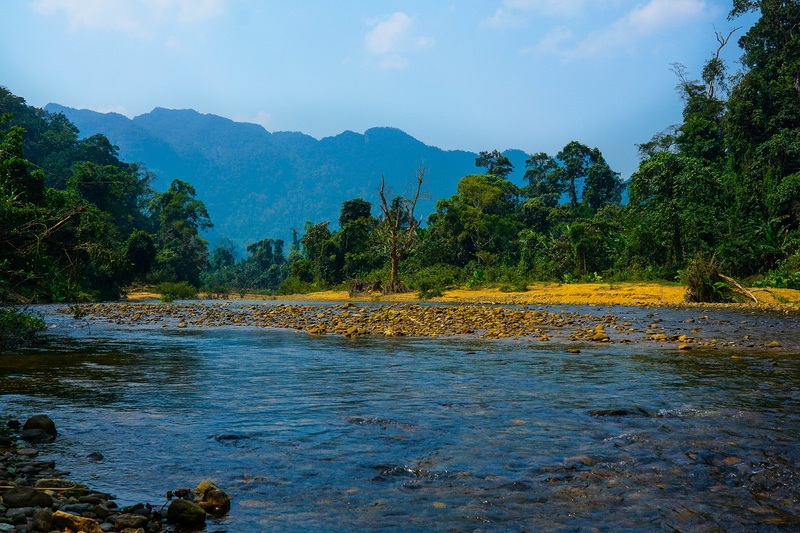 You can take a shuttle bus or fetch a cab to get to Phong Nha, around 50 kilometers from the airport, and then hop on a taxi to the stream.